With a weekend of beer-soaked jeans, sweaty T-shirts and bleeding ear drums in the offing courtesy of the magnificent annual Live at Leeds festival, it seems an apt time to celebrate Leeds’ appetite for whites-of-your-eyes, hairs-on-the-back-of-your-neck gigs. Venues of all sizes have contributed to Leeds’ merry-making rock heritage, and whether it was a couple of goths nursing a cider and black at the Duchess or 90,000 dehydrated souls thrust together like a vacuum pack in Roundhay Park, our fair city has stamped its mark on rock’s decadent history. Every individual has their own classic gigs for their own reasons, but here are the fabled few that many still talk about in the city today, and the number of those who were "actually there" seems to grow by the year. 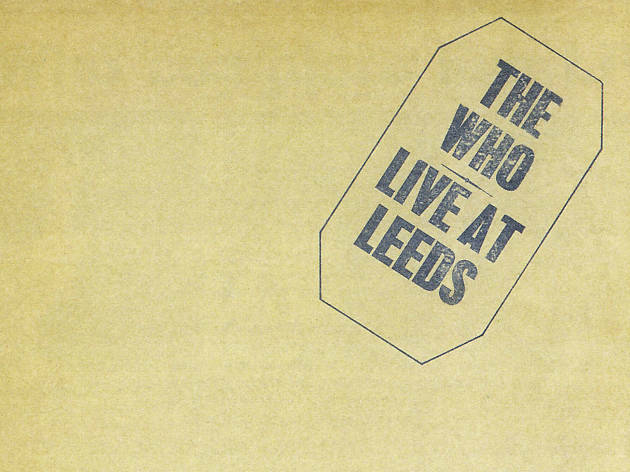 The gig that spawned the classic Live at Leeds album caught The Who at their very peak, as the definitive Daltrey, Townsend, Entwistle, Moon line-up played the Tommy rock opera live for the last time. They booked two gigs at Leeds and Hull with the intention of recording a live album, but technical problems at Hull meant the Leeds University refectory gig became the vinyl masterclass in capturing a live performance. A blue plaque was revealed in 2006 when the band returned to play another intimate show. The Clash made several visits to Leeds before they broke America in the early 1980s, including a famous impromptu appearance in the murky goth den Le Phonographique in the Merrion Centre. This, however, was their first visit as part of the notorious Anarchy Tour of 1976 and featured a bill of unmistakable punk royalty. Live music would never be the same again. 40,200 packed into Leeds United’s ground in the middle of a red-hot bank holiday weekend, and a bill that included Heart, Julian Cope's Teardrop Explodes and Joan Jett and the Blackhearts reached its peak as Queen utilised a PA system that cost £1 million – all the way back in 1982. This was Queen in their prime on the Hot Space tour and bootleg versions of the gig are highly sought-after by Queen enthusiasts who rank the Elland Road show with an "I was there" status. Just before they hit über-stardom, when even gigs at football grounds weren’t big enough, U2 toured the Joshua Tree album at Elland Road. Another 40,000 crowd packed the ageing ground and again bootleg copies of the gig are like gold dust. City dwellers The Mission and The Pretenders warmed the crowd up nicely, although most remember Mancunians The Fall more fondly as they were bottled off stage by a typically hospitable Elland Road crowd. While this was a mega-gig that had the whole area talking and gridlocked the streets around Roundhay Park, it wasn’t a sell out and only an estimated 73,000 rocked up to watch the 90-minute Who’s That Girl? show. It was Madonna’s first major UK tour and YouTube footage of Good Morning Britain's coverage is a fine lesson in 1980s social and fashion history. At this time, mammoth gigs at Roundhay Park were pretty much an annual event, with global behemoths like Bruce Springsteen, Genesis, U2 and The Rolling Stones treading the stage long before little fish like Robbie Williams wobbled around North Leeds. This was Jacko’s first ever solo world tour, supporting the Bad album, and 90,000 people came out to see him on his 30th birthday. Baggy culture was just kicking off and the Leeds versus Manchester rivalry was also growing in tension. The Happy Mondays were still on the rise and Leeds’ own Bridewell Taxis shared the bill at the seminal dance club. Fisticuffs ensued during both band’s sets, although legend has it the fighting wasn’t between the rival bands but stemmed from inter-group tensions on both occasions. Still, it was a spectacle of sorts. Those with their ears firmly primed to the overtures of the music press were ready for The Stone Roses at The Warehouse, just a couple of weeks after their eponymous first album had hit the shelves to little fanfare. A couple of months later the secret was out, the album was selling by the shed load and the Roses returned to Leeds Polytechnic for a far more raucous gig. But those knowing souls have claimed the Warehouse gig as "the one". Now a Hugo Boss shop, the regeneration of Leeds couldn’t have presented a more dichotomous lifestyle shift from the Duchess, which closed in 2000. The venue was witness to many "one man and his dog" gigs from spotty unknowns such as Coldplay, Blur and Muse, and it was a dreary weekday when Nirvana came to support Sub-Pop labelmates Tad when they had just released their debut Bleach album. The story goes that Kurt Cobain spent the night on a sofa upstairs before the band headed off on the complex road to stardom. The word was definitely out about professional Mancunians Oasis by the time they pitched up at the Duchess. While Seattle’s finest played to a gaggle of indifferent crusties, the queue for Oasis at the 300-capacity venue stretched around the block. This was mainly due to a famously pugnacious appearance on The Word the previous weekend. 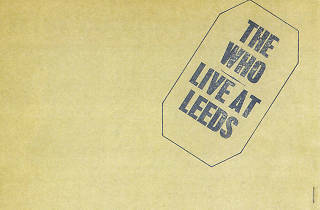 More about Live at Leeds right here. Jon is the author of The Only Place For Us: An A-Z History of Elland Road. A Leeds-based freelance writer, Jon is an established contributor to a wide range of websites and magazines. Follow him on Twitter @jonhowe1971.